Lakewood Home Remodeling Westlake, OH | Odell Construction Inc. Founded as a city in 1911, Lakewood is credited as being the first suburb on Cleveland’s west side bordering Lake Erie. In present day, Lakewood is known for its unique style of homes, as well as a trendy area for entertainment. On Detroit Road, you can find a walkable strip of popular restaurants, shops, and other local businesses. Considering 65% of the homes in Lakewood were built before 1939, the city is known for its unique and historic architecture. These builds have a wide variety of architectural styles and combinations including: Queen Anne, colonial revival, neoclassical, foursquare, bungalows, Tudor, Spanish, and the infamous Lakewood double. As with all historical properties, maintaining the integrity and originality of the home is imperative. Keeping the same siding, window, trim, etc. styles will ensure that you can update your Lakewood home without giving up the value you love the most: its character. Below is a dormer addition that we completed in Lakewood. Please see our other offered services and let us know if you have any questions. It’s never too soon to connect. We’d love to help you and be your local remodeling company! The Lakewood addition we built for our clients included a full bathroom with a small hexagon tile floor, shower, and much needed additional storage. This bathroom paired perfectly with the spacious living area to allow for extra guests or a living area for the clients. We took over this dormer addition for our (at the time) worried clients. The original contractor unfortunately made them false promises, which ultimately led to many mistakes being made. We were able to save the project and create them an amazing space, which was a huge relief to them! 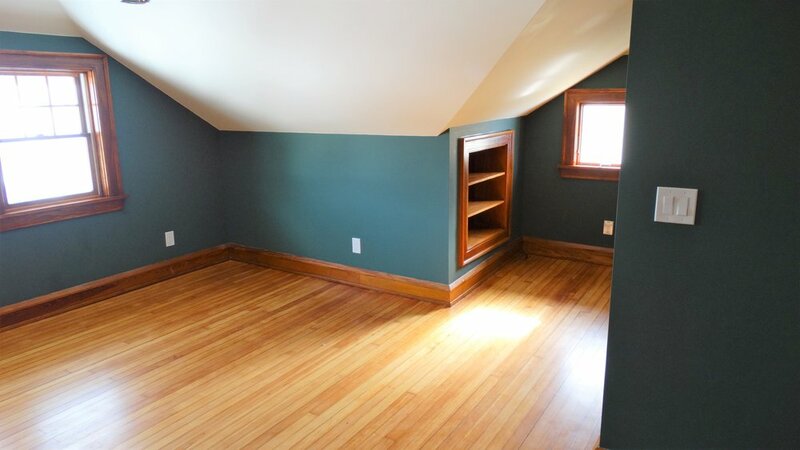 The addition also included stained wood floors with matching trim and built-ins. With these historic Lakewood homes, matching the craftmanship and character of the original build is a must. We were able to do this with custom woodwork and keen attention to detail.